Louise Suleiman Estate Absolute Auction — Harritt Group, Inc.
Centrally Located Between Grant Line Road & Charlestown Road off Mt. Tabor Road. 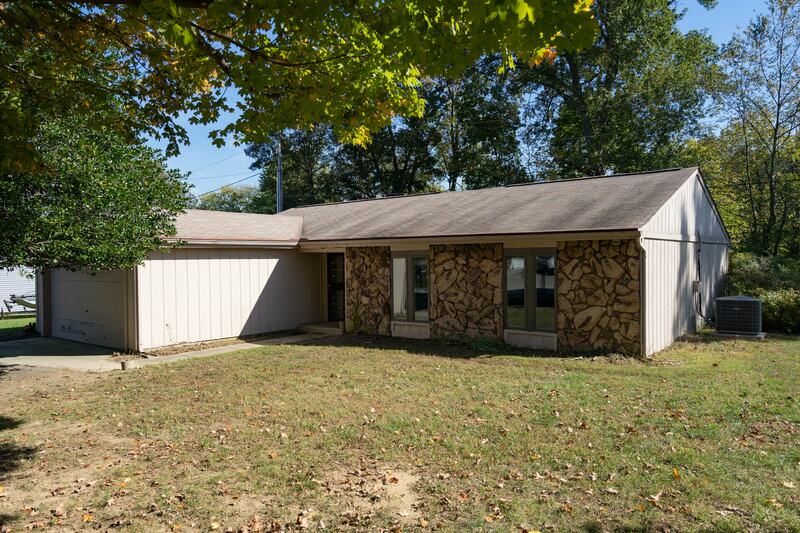 One-owner cedar and stone 1970’s one-level ranch with sunroom and attached garage just minutes to expressway off Klerner Lane and Mt. Tabor Road. Great opportunity to own, selling live onsite absolute to the highest bidder without reserve. ALSO selling 2015 Honda Civic Coupe 15K+- miles. One level 1500 square foot 3 bedroom – 2 bath cedar and stone ranch built in 1977 with 12’ x 24’ sunroom and 2-car garage on 89’ x 133’ lot in Meadowview selling to the highest bidder. Home features living dining room with stone fireplace, eat-in equipped kitchen, full bath off master bedroom, electric heat, central air, laundry closet in garage and sunroom with cathedral ceiling & skylights overlooking creek. Home in need of renovations. Back of lot in Flood Zone A. 10% non-refundable down payment due following the auction with the signing of a legal binding purchase agreement. The cash balance of the purchase price will be due in 40 days. Real Estate taxes prorated to day of closing. Possession immediate at closing. Selling as is with no contingencies, all inspections welcomed prior to auction. 2015 Honda Civic Coupe, 2-door, automatic, air, 15K +- miles, minor body damage front end. I-265 to Grant Line Road Exit#3. South to left at light on Mt. Tabor Road. 1/2 mile to left on Klerner Lane to left on Meadowview.